Just a block away from NAC, you’ll find the NAC Studio/Shop at 433A St. Paul Street. 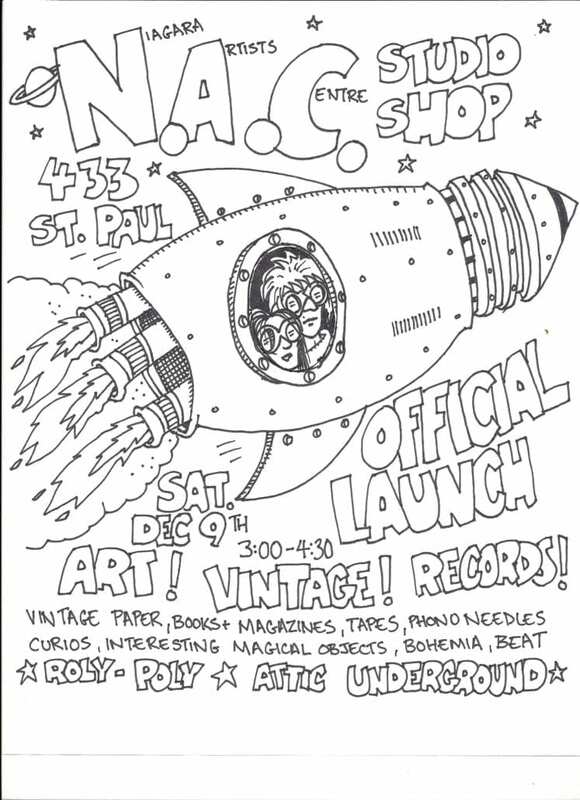 The storefront space accommodates eleven artist studios, a fully equipped print studio, and a shop featuring original NAC member art work, vintage clothes, records, and other cultural curiosities. the Ontario Trillium Foundation Seed Program. Join us for refreshments and remarks at 3PM! https://nac.org/wp-content/uploads/2017/12/24883431_148989825744034_2476730880850413445_o-e1512502561154.jpg 551 400 Natasha Pedros https://nac.org/wp-content/uploads/2014/10/nac-nav-logo-header.png Natasha Pedros2017-12-05 14:37:412018-01-02 09:09:24STUDIO/SHOP Launch!